Unfortunately I need to take a brief hiatus from making new handbags while I attend to some personal matters in my life. However, I’ve still been able to set aside time for custom orders. 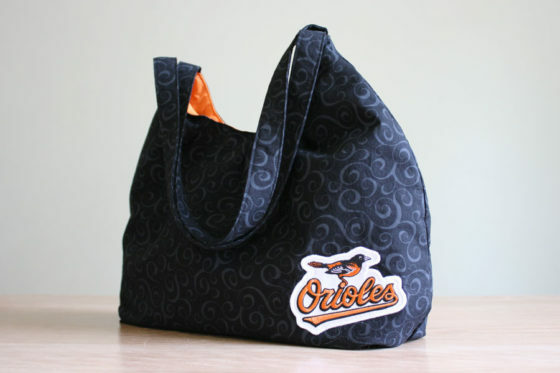 Recently a customer came to me looking for a Baltimore Orioles purse as a gift for her daughter’s teacher. 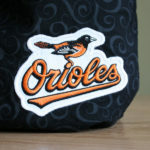 So began my search for licensed Baltimore Orioles fabric! It’s not hard to find Baltimore Orioles fleece at your local fabric store at a fairly reasonable price—especially if you snag a 50% off coupon. Fleece makes great blankets and snuggly pants for winter—but handbags? Not so much. 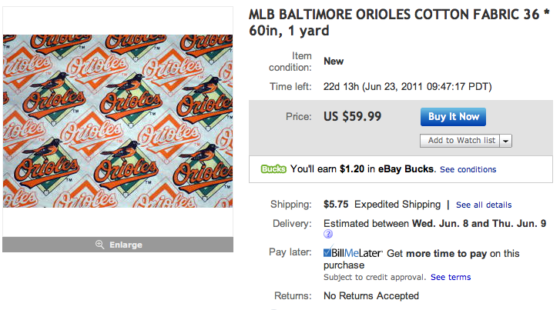 Further research led me to licensed Baltimore Orioles cotton fabric selling for as much as $60 a yard on eBay. That’s right, $60 a yard. Now that’s some salty fabric. 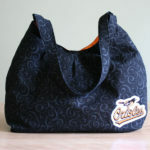 After some thought, I decided the next best solution was to make a black and orange bag and sew an official Baltimore Orioles patch on the front. Behold the end result! 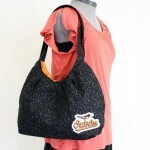 I decided to use my slouchy hobo design for this bag. 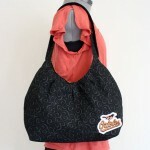 I chose a black cotton fabric with a subtle, gray-colored swirl pattern. I found this fabric to be feminine but not so distracting that it takes away from the Baltimore Orioles theme. The official, licensed patched is sewn on the bottom corner of the bag. 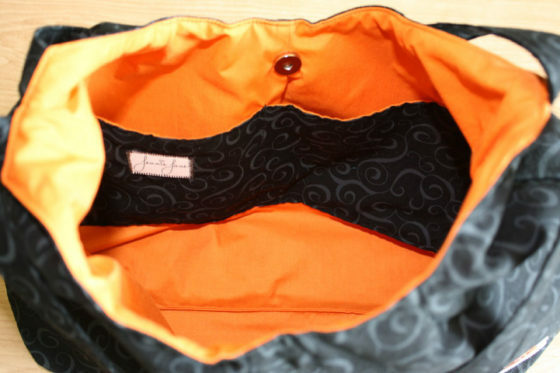 The interior of the bag is orange and features two slip pockets and a pen slip. The bag closes with a magnetic snap. I’m very happy with the results! The swirly pattern on the exterior is a nice, delicate touch and the orange interior really contrasts and pops. This was a fun project to be commissioned for! If you’re interested in a bag such as this and would like to commission me to make one, feel free to contact me using the form on my website. Thanks for reading!